A while back, Caboodle Ranch was everywhere. News stories loved it because this guy did this for the cats.. It was called heaven and a blessing for wayward cats. 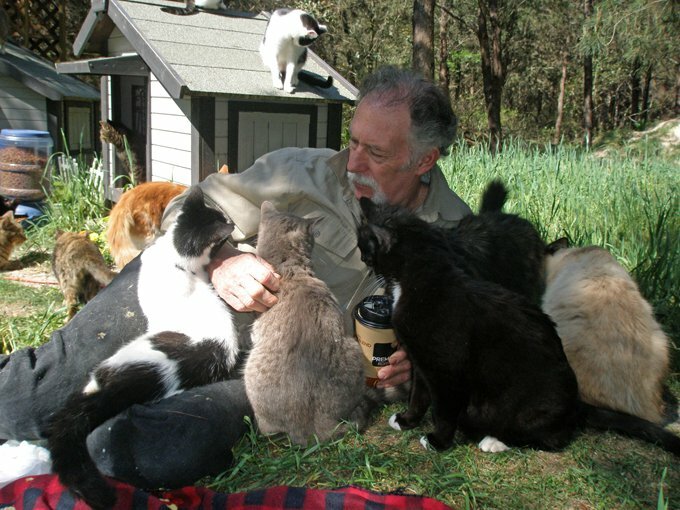 I couldn't help but wonder how on earth he could care for that many cats roaming free on five acres.. Many people believe this is preferable to euthanizing cats that don't have homes. And I am one of them, but only to a point. Only so many people fit on a life boat before it sinks. I don't know the last time I ranted about "no-kill" shelters, and if you have heard it recently, you'll just have to skip this post. Don't get me wrong, I love "no-kill" shelters for what they can do, but the general population doesn't seem to realize they have their limits. I also hate the term "no-kill" because of everything it implies. Just so you all know upfront, I volunteer for an open admission shelter. This means that they take in every unwanted animal from the towns it has contracts with. EVERY companion animal. The one that bites, the one that urinates on the bed, the one that is sick and dying, the one that is displaced because the owners are moving, the ones that have behavior issues, etc. Every single one. With out open admission shelters, the world would be over run with companion animals. Currently every eight seconds a companion animal dies because it does not have a home. Every... Eight.. Seconds.. that is 10,000 a day. We could not turn every shelter into a no-kill shelter because frankly there is just not enough room or resources to take care of them all. So "no-kill" shelters should be called "closed admission" shelters. For all but a handful no-kill shelters pick and choose the animals they will take in and care for. They usually take the cutest and most adoptable animals. They have to. If they don't, if they aren't picky, then their available resources are used up taking care of pets that only a rare few will ever adopt - and finding those owners to adopt those types of pets... well lets just say too many die waiting for homes. So people go in search of soft hearted people who run 'no kill' shelters and give sob stories (real or made up) about their pet, and sadly many who run small local 'no kill' shelters can't say no. So they take in these unadoptable or sick pets and spend all of their money trying to 'save' them. And in time many of them turn into "hoarding" situations and usually end up falling into legal issues. Don't get me wrong. I wish every single pet was saveable. I really really do. Every pet is worth saving, they are worth having a home and it is worth it to advocate finding homes for them. But until the human population gets control over the companion animal population we are going to have to come to terms with the blunt fact that there are not enough homes / resources to care for them all. Warehousing companion animals is not the answer. If we don't want companion animals to be seen as likened to a toaster in the eyes of the law, then we absolutely shouldn't be treating them that way. Neuter your companion animals.. stop littering!! and things like this will take care of themselves..
Well written. I agree with it all. I see it here, too. Rescues that can't say no and never euthanize. These are the most loving, caring, nurturing people and they want to help them all. But, eventually there are too many in one space and the care begins to disintegrate. Good intentions but not enough money to grow with the numbers. The answer is to spay and neuter. And that's that. My human has read everything she can find about what happened at Caboodle Ranch, even though it caused her several unhappy, sleepless nights. It sounds like there were so many things wrong with the way things were run there, for whatever reasons (ignorance of how a 501(c)3 is supposed to be run, possible hoarding mentality, etc. - who knows? Not my human, we live in L.A. and she never met the guy who runs it or went there) - it was an accident waiting to happen. And finally the bottom fell out. We are heartbroken for all the kitties who suffered, because if run properly with sufficient staff and limiting intake, Caboodle Ranch could have been everything, or almost everything it appeared on the surface to be. If you look at the pictures carefully, there is no evidence that any problems were real, it's a dreadful injustice.wide angle pics show clean,well cared for and comfortable houses and cats.only narrow close ups show illness and all came from the hospital unit. The only cats with kittens arrived that way. There have been no film or pictures of any rel abuse at Caboodle except the ridiculous way the ASPCA grabbed the cats and stacked them like tins of baked beans on a shelf! Ignore the rhetoric and re-repeated unverified reports and examine the photos in detail. This is the first I had heard of this story, I agree the only way to stop all these cats being unwanted and unhomed is to neuter. A friend of mine recently told me she lets all cats she owns have one litter before neutering, I didn't say anything for a few reasons. But I was horrified, and knowing how many just that one ltter can multiply. I can annoyed at myself for not saying anything, I should know better and could educate her in the realty of the situation. I think I will get some info for when I see her. I did read what has happened from this Craigs own site,and I believe that injustice has happened along the way in some form, and it does sounds like he is being used politically. But I am only seeing one side. I don't believe Craig acted in the best interests of the cats. People are dillusional if they think one person can adequately care for that many cats.... certainly anyone in rescue knows that clearly. 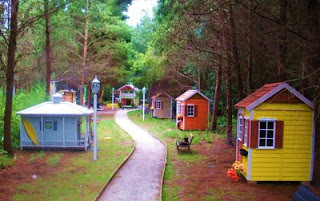 A successful large scale operation would look like Cat House on the Kings. Plenty of staff, adoptions, large scale open houses, etc, etc. Caboodle had NONE of that. He's a hoarder masquerading as a rescuer....and all of those cute little houses are just fluff. Anyone can take a still life moment and claim that it is heaven.